Once a prolific writer and road warrior, it's now been seven long years since Ted Leo's last album, The Brutalist Bricks. Not that the singer-guitarist didn't try; versions of his new record, The Hanged Man, have been in the works for years. But its creation was stunted by a perfect storm of personal and professional troubles: Leo and his wife lost their daughter at birth; he fell into debt; and he found himself ensnared in record label limbo. Leo filtered all these travails into The Hanged Man, crowd-funded and self-recorded in his Rhode Island home. Always a reliable voice for calling out injustice in the world, here the artist turns inward like never before, producing the most stylistically varied and personal record of his career. No wonder it's credited to him alone, rather than his long-running band the Pharmacists (whose drummer Chris Wilson plays throughout the record). Leo claims to have written more than 30 songs, then pared the selections down to these 14 tracks, and that process shows in the genre-hopping on display, a stark contrast to the dad-rock that typified his collaboration with Aimee Mann as the Both (Mann also contributes vocals here). On "Can't Go Back" Leo dives into retro R&B, something he's certainly toyed with in the past, like never before, while "Run to the City" and "Anthems of None" are classic Leo barnstormers. 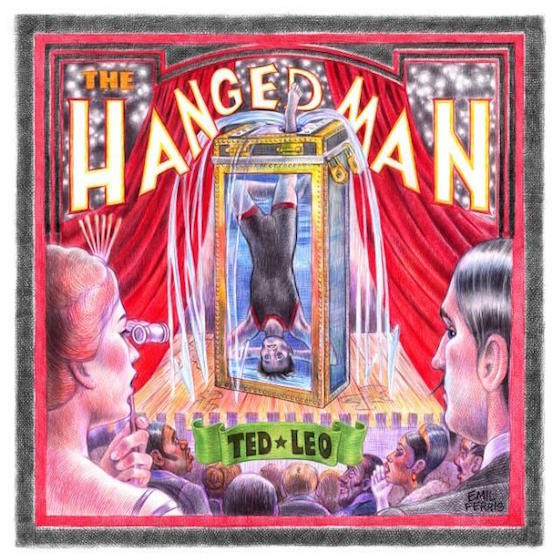 The Hanged Man finds Leo in unexplored territory, too: there's more experimental fare here, as well as shimmering Beatles-esque pop and what could, under certain circumstances, pass for country rock. Not everything works, and some might bristle at the somewhat inconsistent recording quality that hearkens back to Leo's earliest work, but even though he turned to his fans for funding, these feel like songs that Leo needed to write for himself.